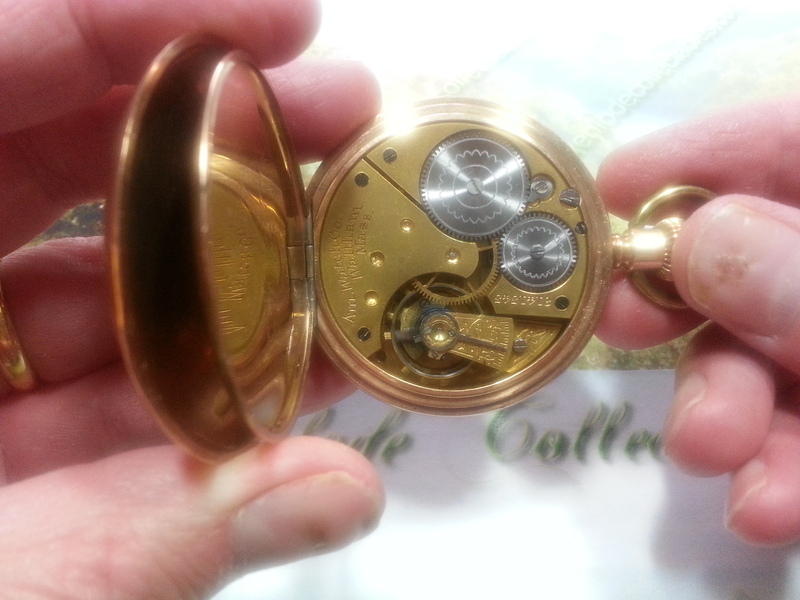 A 16 size (case diameter 50mm) Waltham Open Face Pocket Watch. The dial is a Limited Edition Evenlode Collectables original with a Battle of Britain motif to celebrate the 75th anniversary of the battle. It shows a Spitfire in action with Churchill’s famous quote ‘Never has so much been owed by so many to so few’. This dial has been hand-crafted in our workshops and is finished to a very high standard (see pictures). 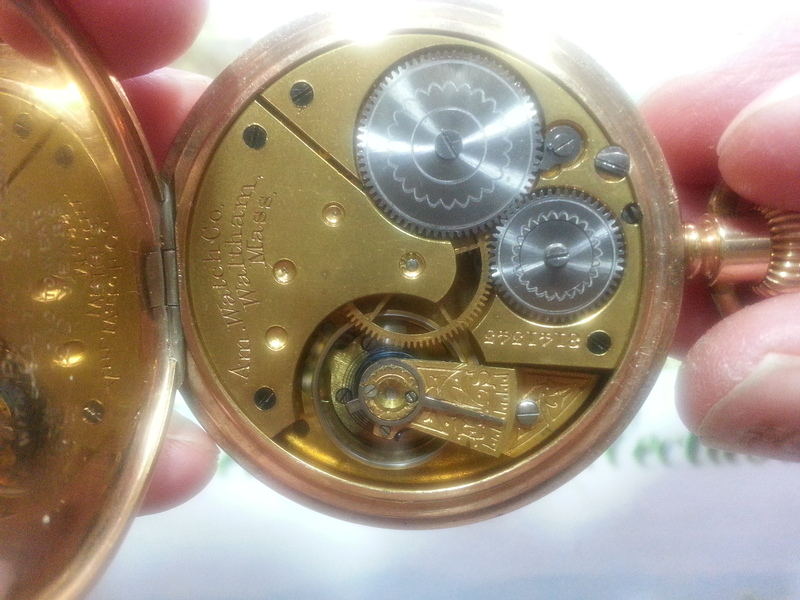 All our dials are measured, constructed and fitted by hand (each movement is slightly different). The case is a lovely ALD (Aaron L Dennison) Gold Filled case. It is made of two plates of gold and a middle layer of composition (brass). Please note: This is a vintage watch fitted with a bespoke dial. 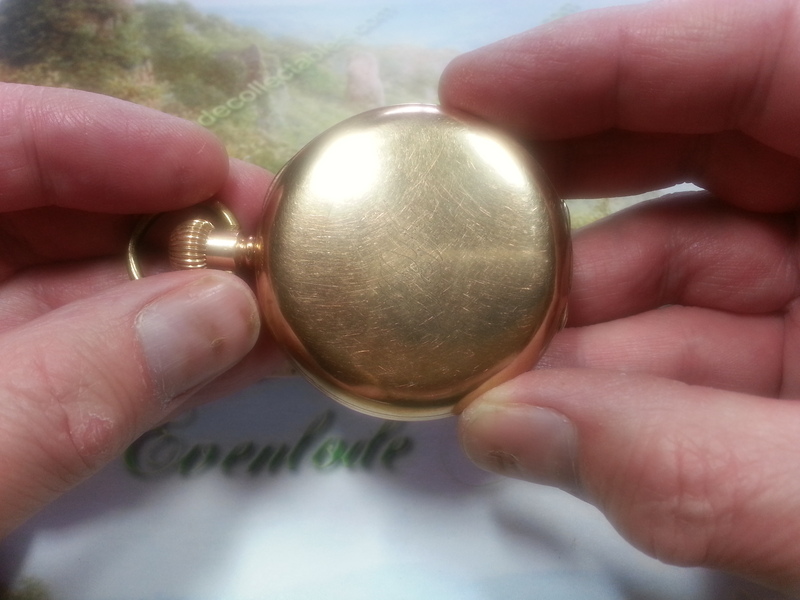 All our watches are checked and, if necessary, cleaned and oiled before they leave Evenlode Collectables but regretfully we cannot offer a guarantee with an item of this age. That said, we will be happy to help you with repairs should they required in the future. Customer service and responsiveness are central to our business. PLEASE NOTE: WE ALSO MAKE DIALS TO ORDER. WE WILL NEED A HIGH RESOLUTION IMAGE OF YOUR SUBJECT (RELATIVE, PET ETC). PLEASE CONTACT US IF YOU ARE INTERESTED.